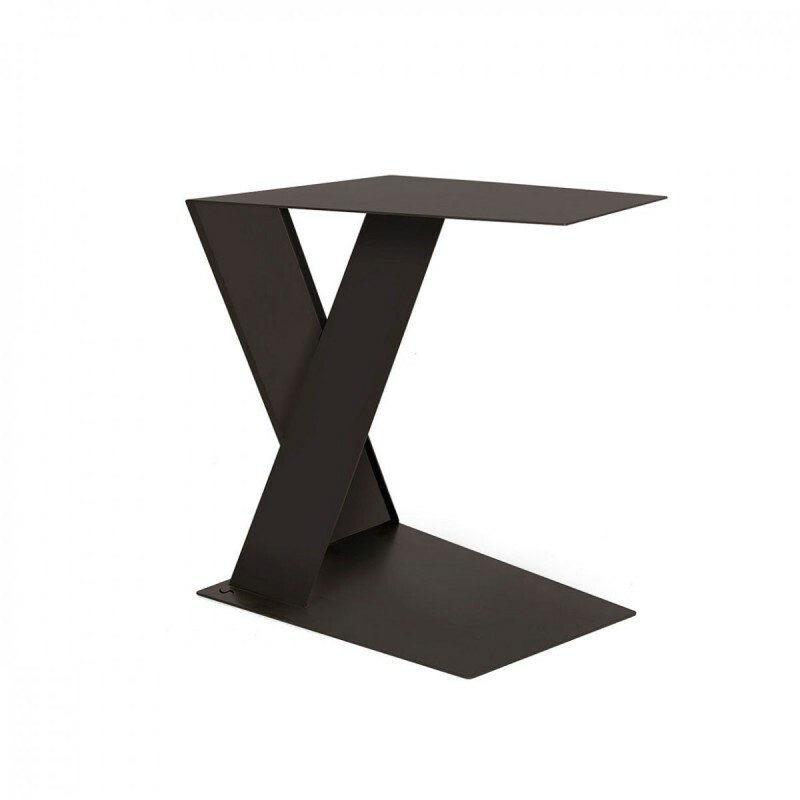 Sidarietto is a side table by Italian maker Siderio. it is designed to make your evenings relaxing and peaceful for you and your guests. There are moments when everything you want is to cuddle up on your sofa, with a good glass of wine or a cup of hot tea in your hands. Other times are for enjoying a chilled beer with your friends in front of a sports match that you wouldn't miss for any reason in the world. With is geometrical shape, Siderietto will help you whatever is that you want to do. Place it close to the sofa for it to become a support for dishes and glasses if you want to have dinner in front of the TV or just enjoy a cocktail with your girlfriends while sitting comfortably surrounded by soft cushions. Sidarietto will be your personal butler! 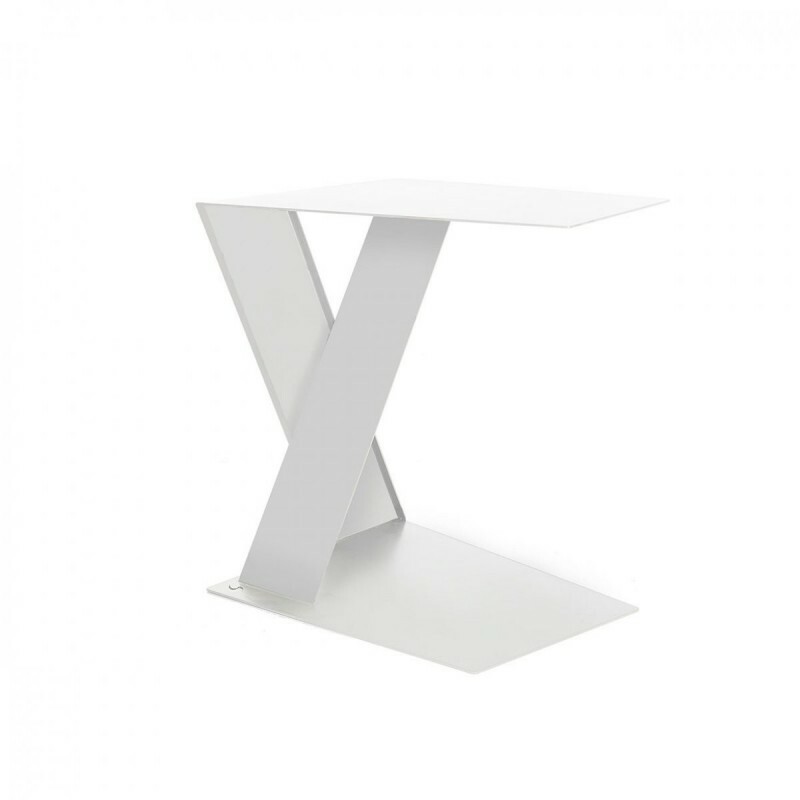 Sidarietto side table by Siderio is made from steel sheet of the best quality and boasts a simplified shape that will look perfect in any home or context. Small yet sturdy, compact yet brilliant, Sidarietto will be your faithful companion in a thousand daily situations. Sidarietto side table by Siderio is available on sale online in a wide choice of attractive colours, so that you are always sure to find the one that fits your spaces perfectly. 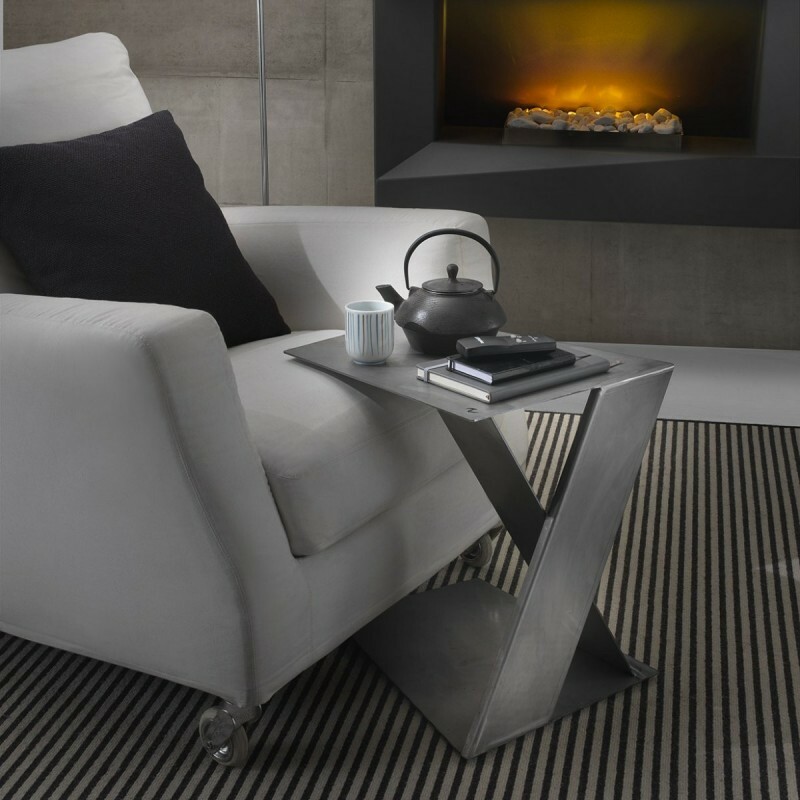 Go for charcoal or white for a minimalist effect, choose steel for an industrial look or opt for rust for a decidely bolder effect. Your sitting and living areas will know and immediate upgrade thanks to the streamlined, versatile, functional character of this beautiful piece of furniture worked from steel sheet. Use Sidarietto in combination with other furnishing elements by Siderio to create a unique look in any room of your home, from bedroom to living areas.